Essential Reading for clinicians, managers and researchers in child psychiatry, this authoritative book provides accessible coverage of essential theory as well as clear practical guidance to inpatient child psychiatric treatment. This method of treatment has fallen out of fashion in recent years in favour of community-based care, but remains a useful setting for treating more seriously ill patients. 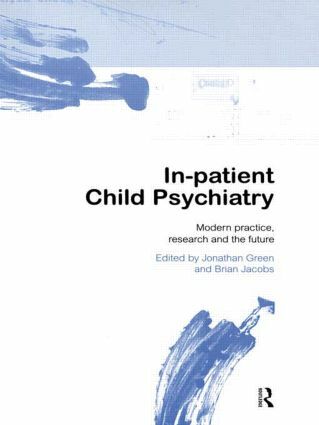 Bringing together contributions from across the profession, this book covers the 'state-of-the-art' in current clinical treatment, and sets a bold new agenda for the future, arguing that inpatient child psychiatric units retain great potential for creative, effective, relevant treatment.